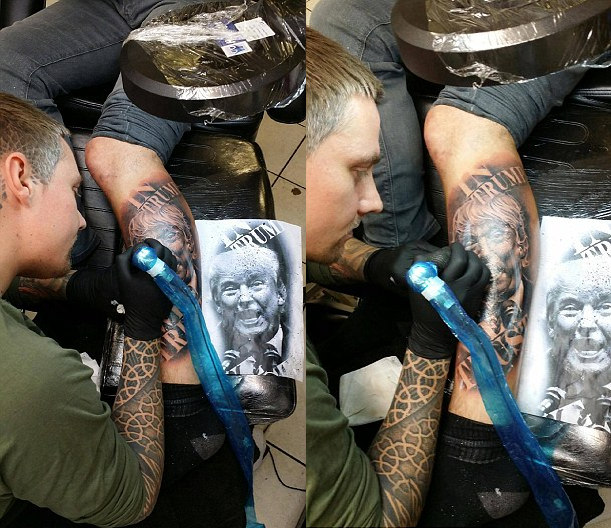 A British man has marked Donald Trump's election victory by getting a huge tattoo of the new president's face on his leg. 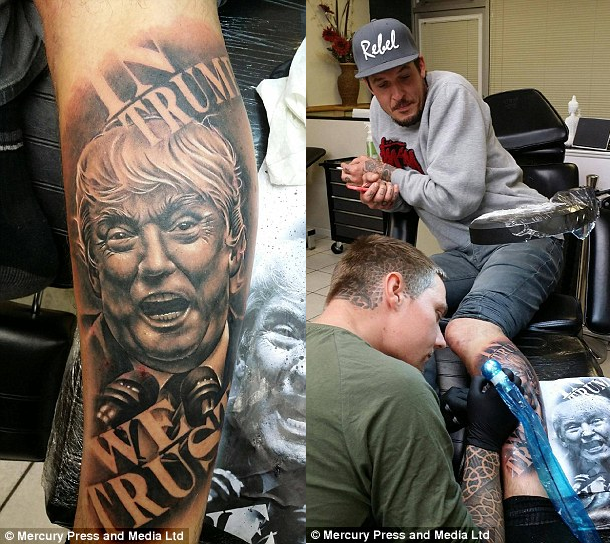 Dave Singleton, 38, got the politician's portrait inked on his left calf along with the slogan: 'In Trump We Trust', after tattooist Craig Bartlett appealed for a volunteer,Daily Mail reports. And while he may face criticism for supporting the Republican Party leader, he says it won't bother him because 'great art is always controversial'.